Mediation is an informal process that helps divorcing couples negotiate resolutions to all the issues of a separation agreement including child related issues, support issues and the division of the marital property. In a conventional the divorce husband and wife each hire a lawyer to be in charge of the divorce. Usually the lawyers fight in court and prepare for a trial in which a judge decides all the issues related to children, support and division of property.. But less than one percent of divorces actually go to trial. In more than 99% of all divorces the lawyers negotiate a settlement on the eve of trial. So after paying many thousands of dollars to prepare for a trial the couple negotiates a settlement one to five years after the process begins. Divorce Mediation is a reform movement started in the late 1970’s by lawyers and therapists appalled by the unreasonable waste of emotional and economic resources in conventional divorce. The premise of mediation is that if the couple is going to settle the case anyhow why put them through the cost of preparing for a trial that is not going to happen in 99% of divorces? Why not help them retain control of the process and negotiate a settlement themselves with the help of a trained facilitator, the mediator? So in mediation the mediator provides the safe atmosphere and the leadership to help the partners have a series of discussion that they probably cannot manage on their own because of the state of their relationship. In four to twelve sessions, in the typical divorce, the mediator helps the couple negotiate agreements resolving issues of parenting, child support, alimony and distribution of their property. Only after agreement is reached do the couple go to court for a simple uncontested divorce. Although the mediator may be a lawyer he/she will generally not take you to court to get the divorce. In most cases, the partners each use a separate lawyer to consult with as the mediation develops but the lawyers usually do not attend the mediation sessions. In mediation you use lawyers as consultants or advisors rather than as surrogates. The lawyers do not take control of the process but support you as you need advice. You stay in control and you dramatically reduce the amount of time your lawyer bills for service. The average couple can complete a mediated agreement in four to eight hoursof work with a competent mediator. Generally the cost of the mediator is from $1,000 to $2,000. Cost: Mediated divorces cost less.The average mediated divorce should cost less than $3,500 including the fees for separate lawyers. The average conventional divorce can easily cost about $20,000. Mediation almost always represents a significant economic saving. Time: Mediated divorces are resolved faster. The average mediated divorce can be settled in two or three months. The average conventional divorce can take one to five years to resolve. Faster resolution means that the family can begin to heal that much sooner rather than stewing in limbo and unable to move on. Quality of agreement: Mediation results in better agreements. 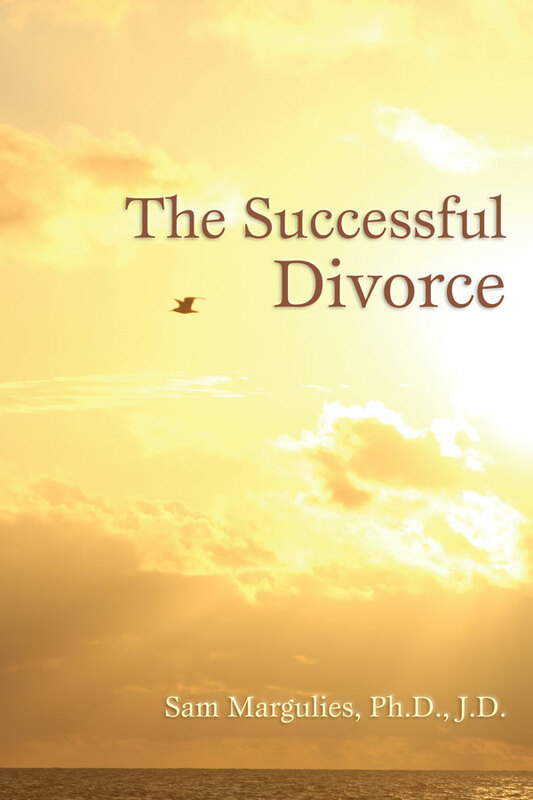 One of the worst features of conventionally resolved divorce is the high rate of failure of settlements. It is estimated that half of all conventional settlements are the subject of litigation within two years of the divorce. This suggests that many people do not feel committed to the contracts they negotiate under the duress of litigation. Because couples who mediate reach real agreement rather than just grudging tradeoffs mediated divorces have a much higher rate of compliance and a much lower rate of “post-judgment” litigation– usually less than five per cent. Quality of communication: Mediated divorce improves the chances that the couple will be able to cooperate around the children after the divorce is over. Mediation, unlike conventional divorce, not only encourages but requires the couple to learn new ways to communicate about child related issues. In mediation the couple learns to manage such issues with respectful and cordial behavior. It creates a business like partnership to solve problems and help the children adapt to divorce. In conventional divorce the lawyers do the talking andthe partners do not communicate directly. So when the divorce is over and the lawyers disappear the couple is left with a vacuum of communication. It is no surprise that so many end up back in court. Good mediators know how to help divorcing couples manage the strong feelings that accompany divorce. Mediation is not just for couples who have an amicable divorce. In fact, angry couples are in greater danger of seeing their litigated divorces spin out of control and need the calming influence of mediation even more. Mediators often recruit the services of expert accountants, appraisers and actuaries to help establish what the assets are and what they are worth. Many mediators are themselves experienced divorce lawyers and have extensiveexperience in evaluating complex economic issues. Mediation, well done, can provide the same level of security that the truth has been revealed as can conventional adversary divorce. Most couples can benefit from mediation. About 85% of couples who try it succeed in negotiating their agreement in mediation. Mediation is less likely to succeed if one of the partners has severe emotional or cognitive deficits. It isdifficult to mediate when one of the partners is an active alcoholic or addicted to drugs. Mediation is for responsible people able to negotiate in good faith. Mediation is divorce for grownups. Choose a mediator as you would choose a cardiac surgeon. Carefully check out the mediator’s background and experience. Because mediation is a relatively new field it is not yet highly regulated nor is their much assurance that a particular mediator is sufficiently experienced to meet your needs. Get references from reliable professionals. Ask the prospective mediator how many cases he/she has mediated. There is some opinion within the field that a mediator does not become masterful until completion of at least fifty cases. There are some very good mediators in the field. Choose carefully.